Striking contrasts and quicksilver changes of mood dictate the emotional weather of Mozart’s Sonata in F major K332. 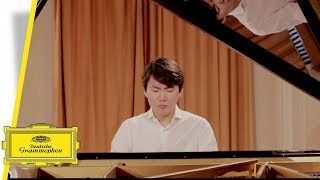 Watch a new video of Seong-Jin Cho playing the second movement of the dramatic work written in Vienna during the second half of 1783 as included on the pianist's first Mozart album. Piano concertos, designed to please a paying audience, were part of Mozart’s daily business. Yet he lifted the genre high above anything that had gone before, so high that he effectively invented it in the form we know today. His mature piano concertos – famously difficult to bring to life in performance – stand among the supreme tests of a performer’s powers. 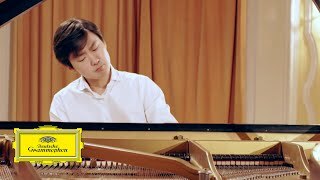 Seong-Jin Cho has chosen one of the most demanding of the composer’s works for keyboard and orchestra, the Piano Concerto in D minor K466, to launch his first Mozart recording for Deutsche Grammophon. 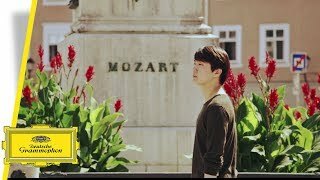 The Korean pianist’s latest album, which also includes the dramatic Piano Sonata in F major K332, the early Piano Sonata in B flat major K281, and the Fantasia in D minor K397, bears witness to a musical love affair that began in childhood and has deepened since he won the International Chopin Competition in Warsaw three years ago. After Chopin and Debussy, pianist Seong-Jin Cho now collaborates with Yannick Nézet-Séguin and the Chamber Orchestra of Europe and presents his first Mozart album with the dramatic D minor Concerto K. 466, the joyful K. 281 and the technically demanding K. 332.